ArtStation has grown tremendously since our launch in 2014 into the largest professional network for games, film, media & entertainment artists. We have over 2 million people using the site every month and over 70,000 portfolios hosted. We’re now ranked in the top 3500 sites on the Internet (top 2000 sites in the US) by Alexa.com. Many web developers use icon packs to add icons to web sites and web applications. Font Awesome is one of the most popular open source icon packs used by hundreds of thousands of web developers, some of whom create themes that are used by many artists for the portfolio websites. Many brand icons already exist for other portfolio platforms such as 500px (photography), Behance, DeviantART and more. We’d like your help as a community to vote for the inclusion of the ArtStation icon to font-awesome. This would enable web developers to easily add the ArtStation icon to portfolio sites and more. If you have a GitHub account, you can go to the issue request here and vote for it by commenting on the thread with a +1. Thank you so much for your help and best wishes from the ArtStation team! 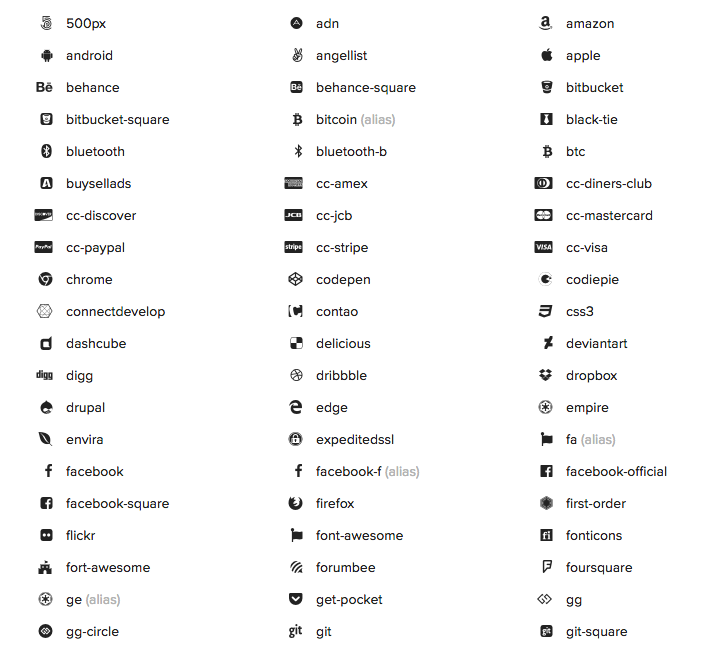 Font Awesome’s brand icons make it easy for developers to add icons to websites.